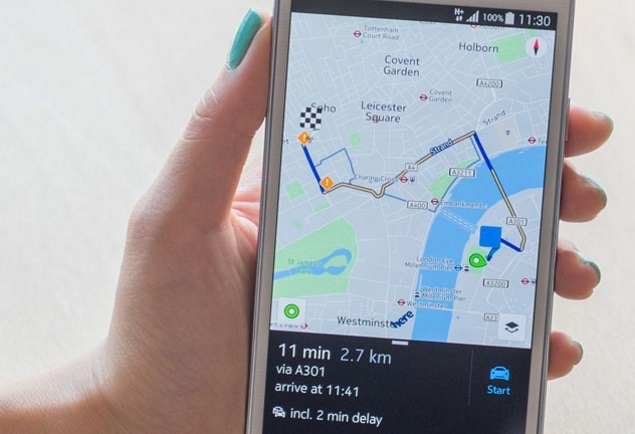 Nokia is considering selling its maps business known as Here, a source familiar with the matter said on Friday, pushing up shares in the Finnish company as well as its network gear rival Alcatel-Lucent . After the exit from handsets, analysts have seen little synergies between the map unit and Nokia’s mainstay network gear business. Nokia has hired a financial adviser to explore a sale of the unit, the source added. Bloomberg first reported news of the sale on Friday. A Nokia spokeswoman declined to comment. Shares in Nokia closed 5.57 percent higher while those in France’s Alcatel-Lucent closed 4.82 percent higher. The two companies have reportedly held on and off merger talks in recent years. Shares in Dutch navigation company TomTom surged more than 11 percent after the news broke. “We have estimated that Here’s value is around EUR 3.3-4.8 billion, and in a possible deal the price should be more than that,” Inderes Equity Research said on its Twitter account. Nokia sold its once-dominant phone handset business to Microsoft last year, leaving it with its core network equipment business, Here as well as its patent division. Here last year had net sales of around EUR 969 million with an operating profit of 31 million euros. The unit has signed several orders from the car industry recently.